Chamber Vacuum Technology The VacMaster VP 210 uses superior, commercial grade, Chamber Technology to vacuum package your foods. 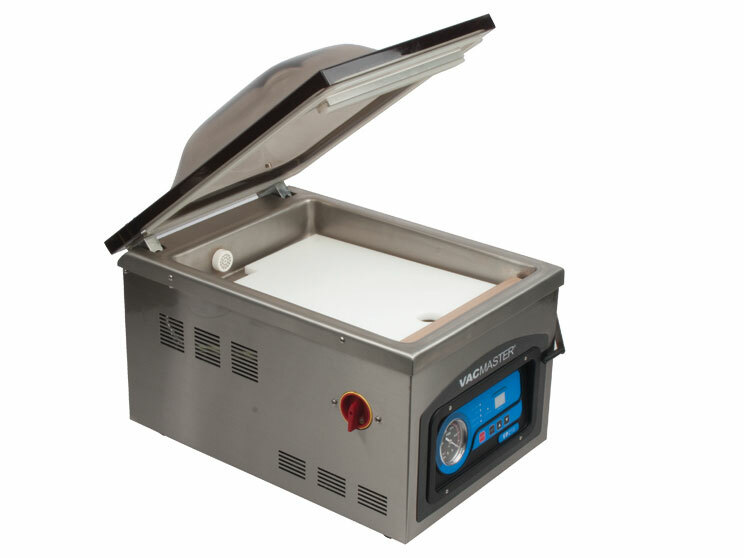 This technology provides greater vacuum sealing capabilities than the ordinary suction machines, which simply suction air out of a vacuum sealer bag. 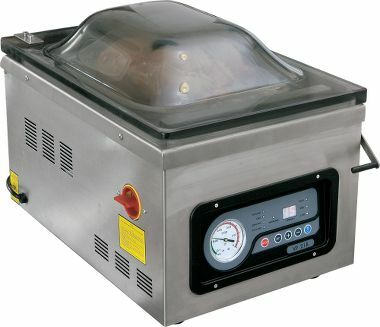 When sealing with chamber technology, the vacuum bag is placed inside the chamber or compartment of the machine, and the chamber's lid is closed. Then, air is sucked out of the entire chamber, not just the bag, allowing the air pressure on the inside and outside of the bag to remain equal. This means that liquids will remain in the bag and not be suctioned out, as is the case with mere suction vacuum sealers. The bag is then sealed, and air let back into the chamber. Another advantage of chamber technology is that they are very powerful. Most suction machines obtain a 24”-26” hg level of vacuum, while chamber machines are able to obtain a 27”-29” hg level of vacuum. The VP 210 effortlessly vacuum seals soups, stews, and marinades. Use it to keep game meat and fish fresher longer. Store meats and fish scent-free. Eliminate waste of bulk quantities of foods. The VP 210 Chamber Machine works with commercial vacuum pouches, called “barrier” pouches, which eliminate bag respiration, preventing air from re-entering the vacuum pouch over time. These barrier pouches allow users to attain the benefi ts of longer shelf life with less freezer burn, and are more economical than vacuum pouches currently on the market. * Dry Rocker piston vacuum pump. * Starter set of Vacuum pouches.